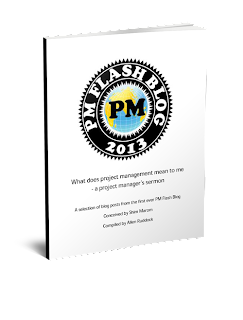 Musings on project management: Is it a plan if no one is assigned? Our topic today: Is it a plan if no one is assigned to the tasks in the plan? Paraphrasing: if your team has an Agile iteration (sprint) planning meeting, and you talk about all the stuff that needs to get done, and the tasks necessary thereto, but you have a culture of no one signs up for anything, have you a plan, and should this be the process? So, I was a bit surprised that this question even comes up. Any sprint planning I'm in ends with confidence that things will get done because we know who is going to do them.